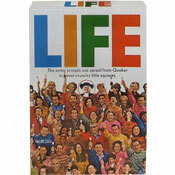 I liked this cereal a lot. The blueberry tastes authentic and the cereal has just the right amount of sweetness. At 6 grams of sugar per serving, this cereal has a respectably low amount of sugar compared to many other cereals in the aisle. 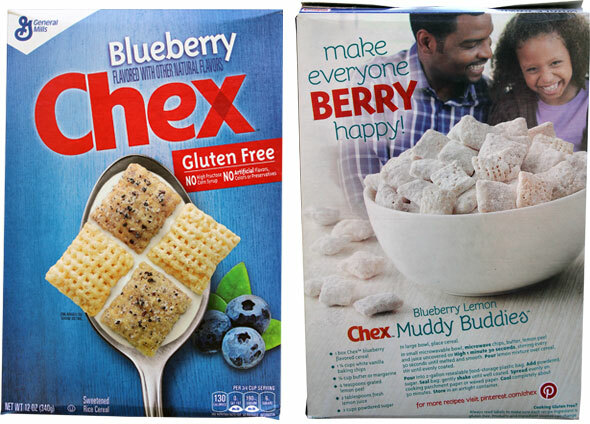 The smart thing General Mills did with Blueberry Chex was to make a cereal that is part blueberry/sugar infused pieces and part traditional Rice Chex. The traditional pieces bring a balance that keeps the sweetness in check and keeps the the blueberry from tasting overwhelming or artificial. That said, there are quite a few more blueberry pieces than plain pieces. I found myself wanting a second bowl even before I'd finished the first. Chex has given the heave-ho to a few good cereals in the last 20 years: Frosted Mini Chex, Strawberry Chex, Apple Cinnamon Chex and Chex Clusters. I hope this one sticks around. 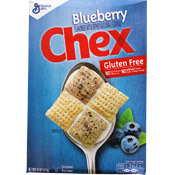 Blueberry Chex is a good cereal and I recommend that you try it. Each 3/4 cup serving has 130 calories, 2.5 grams total fat (0 grams saturated and 0 grams trans), 0 mg cholesterol, 190 mg sodium, 24 grams total carbs, 1 gram dietary fiber, 6 grams of sugar and 1 gram of protein. The $0.00 price amount shown below indicates that the company sent as a sample box of the cereal to review. Awesome cereal. I LOVE this flavor of CHEX. Unfortunately, after falling in love with this flavor and buying them steadily for about 2 months, I can't find them anywhere locally. It really makes me crazy when manufacturers introduce a really good new product and then it disappears. PLEASE bring this flavor CHEX back to stores. Good flavor when you get the pieces covered in blueberry coating. I tried this cereal and thought it was not very good. It was sickly sweet. The box only lists 6g of sugar but combined with the blueberry flavoring it was way to sweet. Would not buy it again. Didn't like it as much as you. Was just okay. I like it. I never eat Chex. So this was eye opening. No artificial taste, very light and perfect with such a low sugar content! Love it. Going back for more. Being diabetic, I usually have to buy a bland cereal and add a little fruit because any other cereals with dried fruit I've looked at have 10-20 grams of sugar. This tastes awesome and with low sugar I'll be stocking up. Thanks to this site for listing the sugar content. I haven't tried this cereal yet but I will keep an eye out for it. I've never had a bad Chex cereal yet. Tried these due to the great review. Very tasty, either with milk or alone. I would buy these again and maybe mix in more plain Rice Chex. Do want. Where will these be rolling out? Any hints? I miss the Frosted Mini Chex.